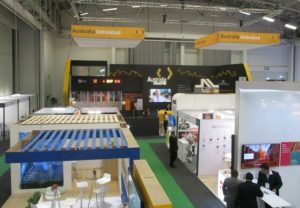 The mood at this year’s Investing in African Mining Indaba in Cape Town was the best since the 2008 Global Financial Crisis according to a wide range of participants interviewed by The BRICS Post at the sidelines of this year’s event. South African Chamber of Mines Chief Executive Officer set the tone with the first event at the Mining Investment at 7am on February 5. He told The BRICS Post that last year was the worst year for the mining industry in terms of the regulatory environment. This was due to the unilateral imposition by the South African government of the third iteration of the Mining Charter, which wiped out more than R50 billion ($4.17 billion) off the market capitalisation of South African mining companies. He was hopeful that under the new management team of African National Congress President Cyril Ramaphosa, who was elected in December 2017 and was a former leader of the mine-workers trade union, a new social compact could be reached that was mutually beneficial. “I have been in discussion with senior leaders of the new team and I think we all want to create the 50,000 new mining jobs and the 100,000 new jobs in ancillary services that a regulatory environment conducive to long term mining investment would create,” he said. “There are green shoots visible and I am positive about the year ahead. The Chamber of Mines surveyed its members towards the end of 2017 on what a more conducive regulatory environment would mean for fixed investment and job creation. The result was that the estimated capital spending in the mining sector (stretching over the next four years) amounted to more than R145 billion, but a more certain and conducive environment (covering at least another three years) would unlock an additional R122 billion ($10.17 billion) or an 84 per cent increase. Confidence in South Africa’s regulatory framework has all but vanished, so fixed investment in mining has been stagnant since 2009, while net investment has declined by 57 per cent since 2008 and it is has been outside investors such as India’s Vedanta that have invested in new projects such as Gamsberg. The key benefit to exploring multi-commodity mineral deposits such as the Gamsberg is that these activities will feed the increasing industrial demand created by accelerating technological innovation in batteries. This demand is reflected in the ongoing upward trend in the so-called “battery minerals” prices of copper, cobalt, lithium, nickel and zinc. This is anticipation of the electric vehicle (EV) revolution, which will have an impact on commodities form 2020 onwards, as that is when the mass market in EV will take off in China and the US, with Europe following in the subsequent years. Commodities trading giant Glencore has for instance said that forecast EV-related metal demand will be significant from as early as 2020 – estimates are an additional 390,000 tons of copper; 85,000 tons of nickel and 24,000 tons of cobalt will be needed, yet major mines take at least a decade to move from project to producing mine. The additional forecast metal requirements by 2030 amount to a massive 4.1 million tons of copper (equivalent to 18 per cent of 2016 supply), some 1.1 million tons of nickel (56 per cent of 2016 supply), and 314,000 tons of cobalt (equivalent to 314 per cent of 2016 supply). The major part of this additional supply will have to be sourced from mines in Africa with the Democratic Republic of the Congo the most-favoured country in terms of resources. In order to sustainably mine in Africa, mining companies need a “social licence to mine” that makes use of local labour, the latest technology to ensure a safe and healthy environment and then to leave a legacy such as manufacturing and/or tourism infrastructure that can continue to provide a livelihood once mining operations have ceased. To show what the digital age holds out in terms of great opportunities for mining companies to reduce risk and improve safety and profitability; SRK Consulting (SA) chairman William Joughin gave delegates a taste of what is already being achieved. “Larger quantities of better and more reliable data – combined with specialised and in-depth engineering experience – are a real step-change in our ability to understand and manage project risk. Today’s technology gives us the power to collect and analyse data in previously unimaginable quantities – and with remarkable benefits”, he said. Alex Grose, the managing director of Mining Indaba, told The BRICS Post that what stood out for him at this year’s event was the interest by investors in junior mining companies, which had previously been neglected by investors as they were seen as being too high risk. “It is a welcome change and we have provided a platform for these junior mining companies to show case their projects. There is also active participation of African governments at this year’s event and we have 36 African Mining Ministers attending. In addition we have also seen greater overseas participation with the number of international investors increasing by 23 per cent compared with last year,” he said. TSX-listed Thor Explorations Ltd was the winner of the 2018 Investment Battlefield for their gold exploration project located in Osun, Nigeria. CEO Segun Lawson accepted the award after pitching the project to a panel of judges made up of leading analysts and investors. Thor Exploration was selected as the most promising of 22 junior mining companies who participated in the battlefield. The runner up was Algold Resources, a gold explorer and developer in Mauritania. 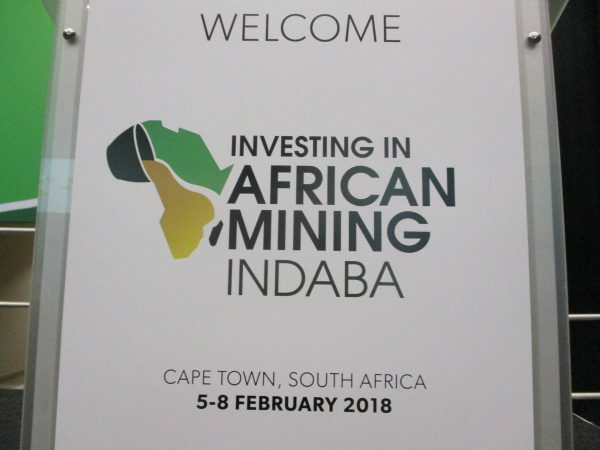 “Identifying the best emerging mining companies for investors and supporting the development of new projects is a critical part of Mining Indaba,” said Harry Chapman, Director of Content for the Mining Indaba. Junior mining companies who took part in the Investment Battlefield were each assigned a broker mentor who gave advice on delivering presentations and approaching investors.